Need a versatile forklift for a variety of outdoor applications? Telehandlers help you to extend your reach and move heavy equipment or materials around the job. A telehandler has a telescopic boom style mast at the side of the cabin, making it a highly versatile machine with more downward pressure and a higher and longer reach than a standard forklift mast. Merlo presents the Panoramic P27.6 telehandler. It's compact design, less than 2m high and 1.8m wide makes it the perfect telehandler for low clearance areas. This model is suitable for agricultural work, construction sites and a perfect addition to a hire fleet to increase versatility in applications. Increased efficiency and productivity with 3 modes of steering including crab, all wheel and front wheel drive. Travel speeds of up to 40km/h making operations faster in any industry. The Panoramic P27.6 telehandler by Merlo has various attachments available and suitable for a range of applications. Attachments include, but are not limited to, crane jibs, buckets, rotators plus many more. Lowered cab makes it ideal for use in basement areas. More space from the widest cab on the market, which includes a built in reversing camera for increased safety on work sites, as well as a spacious entry to the cabin that opens up to 180 degrees. Call Lencrow Materials Handling to find out more on 1300 536 276 or place an online enquiry and your closest representative will be in touch with more information. A broad range incorporating unique technologies that only Merlo can offer and capable of saving you time, consuming less and working in total safety and comfort. The 3T Panoramic range by Merlo is no exception. Attachments available include crane jibs, rotators, buckets and many more. Want to find out more about Merlo telehandlers? Please call Lencrow Materials Handling today on 1300 536 276 or simply fill out our online enquiry form and one of our experienced telehandler customer rep's will be in touch. Looking for construction machinery? The Merlo Telehandler's are ideal for heavy duty all terrain applications and are built for performance. The 4T telehandlers by Merlo include machines suitable for farming, ask us for more information. The M CDC is Merlo's unique point of difference ensuring that safety comes first when operating your telehandler. What is M CDC? It's Merlo's Dynamic Load Control System and it's their patented rated capacity limiter. It's an integrated computer safety system that manages the load chart according to the attachment in use. The parameters that it monitors include carried load, the boom angle, extension and speed. The computer can only sense Merlo manufactured attachments and it's the quality the market has been demanding. There are too many incidences on work sites today where machines run in to all kinds of accidents because attachments being used are not matched with the machines rated capacity. This takes the guess work away from your operator and leaves the responsibility to our tried, tested and approved computer system. Find out more here. Want to find out more about the 4T telehandlers? 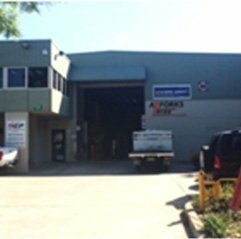 Call Lencrow Materials Handling today on 1300 536 276 or fill in an online enquiry and we can get in touch with you. The Merlo Panoramic P60.10 is designed for exactly what is needed on site, a tough reliable tool, easy to use and versatile. The Merlo design gives the advantage of bigger performance in a smaller lighter machine with added flexibility. For added productivity, a large range of optional attachments including buckets, crane hooks, winches, jibs and man platforms add to the versatility of the P60.10. Want to find out more? Call Lencrow Materials Handling today. Or simply fill out our online enquiry forms and we will have one of our experienced consultants get in touch. Merlo engineers had a clear objective: designing safe and comfortable machines, features that both aim at improving working conditions. The Panoramic P72.10L Plus & P75.9CS are equipped with active cab suspension, which ensures effective damping under all load, driving and speed conditions. Many innovative solutions have been introduced, adding to the leading visibility of Panoramic models, and ensure high performance typical of larger class machines, while maintaining the compact size and the manoeuverability of small machines. Merlo design gives the model versatility in agricultural, construction, waste management and production applications. In all Merlo telescopic handlers the engine is mounted to the right side of the chassis, ensuring safe, easy access and maintenance from ground level. For added productivity, a large range of optional attachments including buckets, crane hooks, winches, jibs and man platforms add to the versatility of the P72.10L Plus & P75.9CS. The standard hydraulic quick attach fork carriage allows attachments to be quickly changed using controls in the cab. The smooth boom hydraulics provides greater control and accurate placement. You benefit from easy to use versatile equipment, an increase in efficiency and productivity, and the safest telehandler with 50 years of specialist experience. Want to find out more about these unique and masterfully designed telehandlers? Contact the Merlo representative at Lencrow Materials Handling on 1300 536 276 or fill out the online enquiry form. We look forward to speaking with you soon. 170kw engine - really powerful! The new Panoramic P 120.10 HM telescopic handler enhances the Merlo designing concepts because it ensures high-level performances maintaining reduced dimensions. Even if the Panoramic P 120.10 HM is the more compact in its category, it can lift up to 12 tons and reach operational heights of up to 10 meters. Thanks to this unique technology all operating parameters are analyzed by the main computer which elaborates them and ensure the highest safety in every moment in order to allow the operator to concentrate only on the job. The hydraulic system has a single variable displacement piston pump with Load-Sensing control: this solution permits the regulation of the hydraulic oil flow to immedaitley adapt to the demand of the hydraulic service auctioned, even at a low engine rpm. Want to find out more about these steel muscles? Call Lencrow Materials Handling today on 1300 536 276 or fill out our online enquiry form and we will have a Merlo representative contact you directly. Most commonly used on construction sites and for agriculture work, telehandlers are recognised for their multifunctional applications through the use of attachments, including buckets, winches, jibs, crane hooks and man platforms. Telehandlers offer high performance typical of larger machines, while maintaining the compact size and maneuverability of smaller forklifts. Provided the attachments are rated and compatible with the telehandler’s capacity, they are interchangeable and in industries requiring many different specialised tasks such as construction and agriculture, buying one unit with multiple attachments can be the most cost-effective solution. High boom pivot for improved visibility when carrying a load. Can work in areas inaccessible to a rough-terrain forklift. The main advantage of the telehandler over other types of materials handling equipment is its versatility. When the work of several different machines can be handled efficiently by one machine with several attachments, the savings to a business can be substantial. 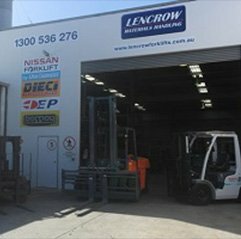 At Lencrow, our range of new, used and rental materials handling equipment is one of the largest and most comprehensive in Australia, with a product solution for every application. And we back everything we do with superior after sales service and support. 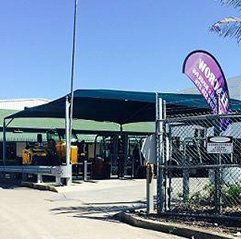 Our branch workshops have the expertise and state-of-the-art equipment to provide a comprehensive range of mechanical services and technical support. And using our computer aided Planned Preventative Maintenance System (PPMS), we can tailor a unique servicing plan for your equipment to keep your lifetime running costs to a minimum. We also offer 24/7 emergency forklift repairs, with a 2 hour response time in metro areas and 4 hours in regional areas. 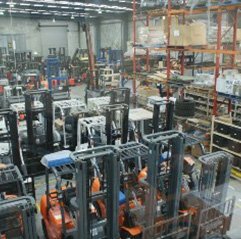 An Australian family business with more than 40 years experience, we’re committed to providing Australian industry with an all-in-one materials handling solution. And with five branches across Australia and more than 60 staff, we have the resources and expertise to deliver both now and into the future. For more information on telehandlers in general or one of our models in particular, have a browse through our range online, or to discuss your needs now, call one of our friendly consultants on 1300 536 276. You can also get in touch at any time by filling out our online enquiry form and we will have one of our experienced staff reach out to you as soon as possible.